If you have MATH problems and questions, like "What are powers of ten" or "Explain to me a shortcut for negative exponents", or "Please solve this problem", please go to the Math Forum's Ask Dr. Math service. Ask Dr. Math ® archives have thousands of answers from students to all kinds of math questions, from elementary school to college math. And if your question is not answered in the archived answers, you can write and ask them your math question. The service is professional, free, quick, and highly recommended! I also have a list of homework help websites, forums, and tutoring services where you can get help too! If you have a question about the site, feel free to email us at [email protected]. I would like to commend you for making great worksheets. I use your 3rd grade worksheets for a little kid I tutor, and I think they do a great job in conveying concepts through the exercise. It's sort of like a theory through practice kind of thing, which is great for 3rd graders. Thanks! This is just a quick note to say thanks for providing such a great resource for free! I use the worksheet generator every week to create 35 targeted times tables questions for my Year 4 class (US 3rd grade, I think) to answer in 2 minutes. I love how I can specify exactly what sort of questions I want them to answer and the kids are loving watching their scores improve. I work at an International School (UK Curriculum). So thanks! Thank you!!! I was having so much trouble teaching my daughter how to subtract a negative integer, and your site really helped! Do you know what numbers such as 05/05/05 (todays date) would be called? Is there a term for such things? That would be called an ordered number triplet, or a 3-vector, or a vector with three coordinates, or an ordered set of three numbers... Basically just three numbers where the order of them does matter. Often in mathematics a vector would be written inside parentheses, the coordinates separated by commas: (5, 5, 5). But it doesn't matter whether you use slashes or dashes or commas - the concept is the same. This site is amazing, thank you so much! I was looking for some quick fraction worksheets for my cousin and the customizable and easily printed worksheets here are great - exactly what I was looking for! Thanks again! I just want to say a very big "THANK YOU" for this website. Thank you for the simple expanation on finding the square root of a number without the calculator. I learned this in fifth grade many years ago. I have been teaching it to my students for over 26 years. But when an adult who was going back to college needed help with this, I suddenly drew a blank. Your explanation and example was an answer to prayer and so simple to understand. Regardless of how archaic some comments posted may make it sound, it still works in this century, and if ones knows their division table, it takes very little time to work through the problem. It is good for our children to learn to think for themselves and be able to solve problems with an old-fashion pencil and piece of paper. So many math books make the process seem so difficult that I think it scares many students from trying. When I lay it all out on the chalkboard just the way you show it here, then they seem to understand and realize that it is no more than putting together the pieces of a puzzle. I have not had the opportunity to look at all your site, but what I have seen is terrific. Thank you for being there for teachers, homeschool parents, and for students. I just wanted to send you a quick note of thanks for your website. It has saved me so much time and the worksheets are designed in such a progressive manner it is just fantastic. Thank you. Just have to let you know how important your materials, suggestions, and math programs have become to my tutoring efforts with a wide variety of students. You have given me a coherence of presentation and remediation for these kids that I never picked up in my teacher training credentialing classes! Thanks for sharing your love and knowledge of math with the rest of us. I was googling sites to help me generate math quizzes for my daughter, based on what she brings home from school. I started looking through the site created/titled worsheets, then I found how I can create my own templates. Basically, I would like to say that this site is awesome... amazing... so helpful for a parent to help quiz their child. I can't wait to spend more time looking at other ways to help my child learn. I plan on telling other parents in my daughters class, and my friends, of your website. What a great "find." Thank you for having this site accessible to us parents trying to help our children out with school!! My 11 year old daughter had a worksheet on triangles. Listed were 2 of the angles. She had to find the missing angles and identify what kind of triangle it was (R,O or A). I just wanted to tell you - your site was WONDERFUL in helping us with this worksheet. Great explanations and pictures. We were done with the worksheet in no time! We have bookmarked you and will come back when we need help with triangles again! Thank so much! Wow, this is an awesome site. 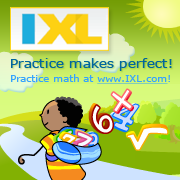 I teach math to ESL high school students and this site is going to be such a great help. THANK YOU!!! I just dont get proportions! Until...... i looked a your website! its GREAT!! i know how to do them now and im getting better grades in school! Thank You SOOOOOO much for making this website! I owe you ALOT! As a fourth grade teacher, I constantly search for new ways of presenting material, sometimes in the curriculm and other times to stretch their thinking processes. Thank you for a web site that does both. It is so easy to create exactly what I need. Wishing you a continued sucess with your website. These responses are mostly from our most recent User Survey. I really appreciate the use of your worksheets that I can make to my specific topic. Thanks. First liked the blank times table to 12 that they can fill in themselves. LOVE the hangman games! The kids do; and I do; too. We play on paper; too. Great idea! I really like this site. Thanks for having it. Will investigate further. The worksheets are great for our daily math work. Thank you for a great site! I like the fact that you offer fraction worksheets. You also give alot of information. The ability to generate worksheets is great! I like that you can set up the pages with very specific information; so that the students can focus on 1 skill. Being able to make my own worksheets. I love that you have most of the different math curriculums available to be compared head-to-head. ;This is my first year hs'ing and the options are staggering to me. It was wonderful to find so many detailed descriptions in one place. It made comparing them much easier. The links directly to their websites and to reviews was also extremely helpful to me. Thank you. Your site is very good for something so new; I'll be coming back. It is a great website. It just needs to be organized more. This a great website. It goes back to the basics which is sometimes lacking in schools today because the advancement of technology. Keep up the good work. Been looking for a non-spiral curric that can be used year after year; non-consuming and I think I've finally found it. Thank you! Thank you for setting this site up for others. I will be sure to pass on the URL to any that need a math site.